Chris is the owner of Woof Wise Dog Training. Her goal is to help dogs stay in their homes and help people and dogs live happily together! She would like everyone to experience the same joyous bond she treasures with her dogs developed through training. Chris is a Certified Professional Dog Trainer–Knowledge Assessed through CCPDT with over 15 years experience. She apprenticed under Ginger Alpine and has studied under America’s best behaviorists and trainers including Patricia McConnell, Jean Donaldson, Pat Miller, Kathy Sdao, Sophia Yin DVM, among others. Chris is a professional member of the Association of Pet Dog Trainers, and an American Kennel Club (AKC) Canine Good Citizen Evaluator. but more importantly lessons of loyalty, forgiveness, perseverance, courage, kindness and love. Pumpkin was a well mannered pet with several obedience titles and an impressive list of tricks—including a hot dog retrieve! 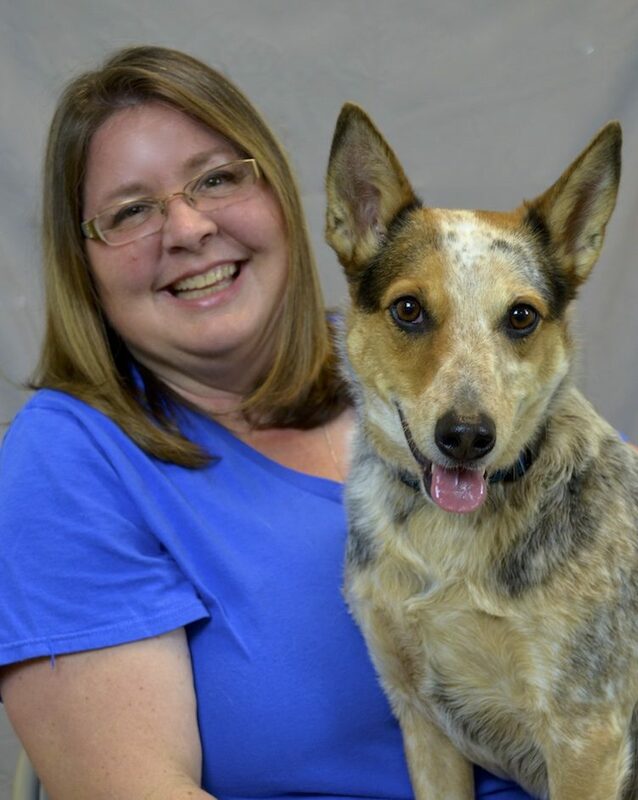 Chris currently shares her life with her amazingly patient husband and adult rescued Australian Cattle Dog she calls Winny, who is as charming as she is smart. Winny is rounding out her real life, experiential education teaching her about living with a fearful and reactive dog and how trust and adult dog relationships are developed. Within her first 6 months of adoption Winny earned 2 trick titles and her first CWAGS obedience title and is continuing on. There is so much more to learn—always! Continuing education units are not only required to maintain her CPDT certification but are relished and always exceeded. Chrissy is a graduate of The Ohio State University with a bachelor’s degree in Animal Science and a Veterinary Technicians degree from Columbus State Community College. Working in a veterinary hospital since she was 15, she has always had a passion for helping animals. Growing up with dogs and cats of her own as well as riding horses and occasionally arriving home with a new sick, injured, or abandoned animal to fix or nurse back to health, choosing her degree paths came at an early age. Three ago she and her husband adopted their first dog together, Cadbury. He’s a mixed breed dog and very sweet but came with many behavior issues. It was working with Cadbury in positive training with Woof Wise Dog Training that Chrissy found her true passion. There is no joy like the joy felt in helping a dog receive confidence in themselves and in watching owners, like herself, know that they made the difference. In deciding she wanted to pursue her certificate as a positive trainer, she mentored with Chris Lantzer, CPDT-KA, while focusing her CEUs in behavior as a vet tech. She is an AKC Canine Good Citizen evaluator and is currently pursuing her certification through CCPDT. Chrissy and her husband have a beautiful baby boy and are the proud owners of their little fur family that consists of 2 rescued dogs and 2 cats. Tina actively volunteers at a community dog shelter. She mentored with Woof Wise Dog Training and has been teaching there since 2015. Tina is a graduate of the CATCH Canine Training Academy, a member to the Association of Pet Dog Trainers, and an AKC Canine Good Citizen Evaluator. 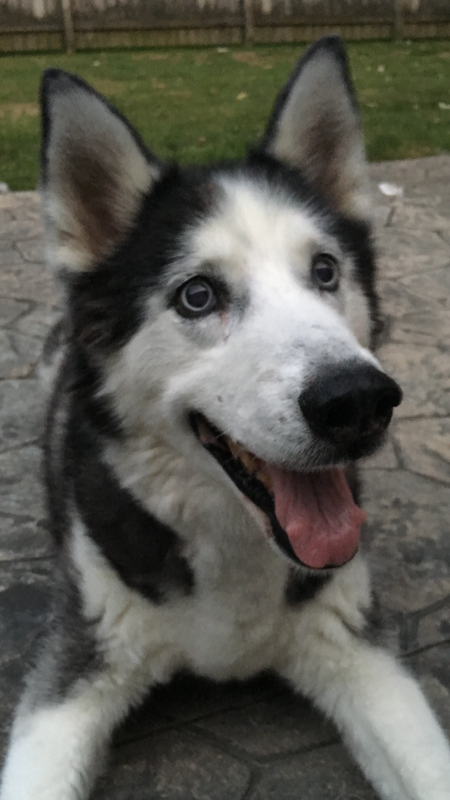 Her dearly departed dog Toby, a Siberian Husky, taught her much and assisted her with her studies. Tina hasn’t been without a dog for the past 25 years and loves dogs of all ages and sizes. Tina continues her learning and is pursuing her Certified Professional Dog Trainer-Knowledge Assessed certification through CCPDT. Erin is a graduate of Baldwin - Wallace with a double major in Sport Management and Exercise Science with a minor in athletic coaching. Her strive for fulfilling human potential goals through structured exercise, motivation and a keen eye for movement help her immensely in coaching the human-canine team. Erin is currently apprenticing with Woof Wise Dog Training and is pursuing her Certified Professional Dog Trainer-Knowledge Assessed certification through CCPDT. Erin has always been an avid animal lover though unable to have pets growing up due to family allergies. She pursued her passion volunteering at the Lake Erie Nature and Science center where she got to work with a wide variety of species as well as volunteering at local animal shelters and with a local therapeutic horseback riding program and more. Her dream came true as a young adult when she adopted her first dog, Gator, a one year old Australian Cattle Dog from a shelter. She was frustrated and confused by her sweet boy’s behavior issues. Erin and Gator began taking classes at Woof Wise Dog Training to help understand each other. Erin truly believes that difficult dogs are the best teachers and her best friend has taught her a lot! Erin enjoys painting, hiking, working out and of course spending time with Gator and her cat, Alli. Ready to try a group class? Learn more about our classes and sign up today!